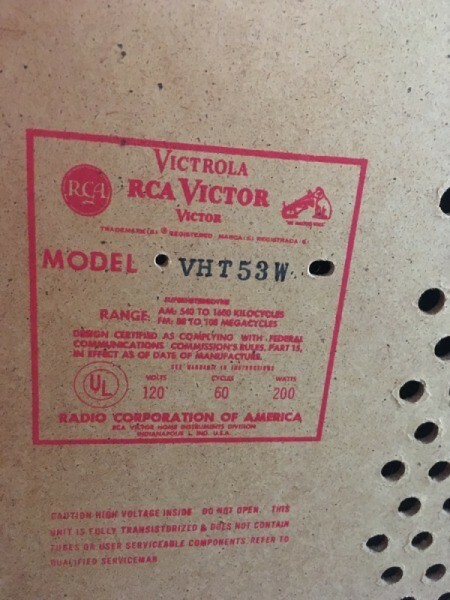 I have an RCA Victor Victrola record and 8 track console stereo. It is in great shape as it has been in our family cottage for 38 years. 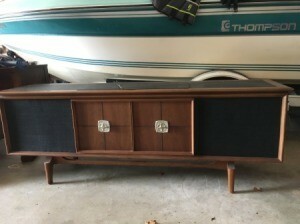 We are ready to sell it, but want to get a fair value for it. That said, these are hard to sell on your own because of the size and getting it to the person. Usually at tag or flea sales people don't want to pay "retail". I learned recently that if the innards are working, you can take it apart and sell the pieces...sometimes for more than the retail value of the item. While this isn't an exact match to your piece...you can see that some of the parts to these old items have value as people want to rebuilt what they have or find on the cheap. I have seen models like these on eBay for a few hundred dollars. Check for a couple of months to see what your model actually sells for.